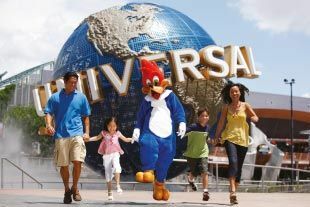 What Singapore Tourist Attractions are suitable for kids? 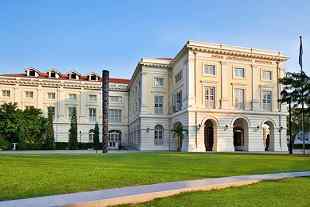 Find out what are the things to do in Singapore for children. Singapore Tourism has increased by leaps and bounds since our Casino hotels, Marina Bay Sands and Resorts World Singapore opened. Singapore's weather is 'tropical' all year round with plenty of sunshine and sporadic rain. Monsoon rain storms normally only occur in December, so it is a great opportunity to bring the kids out of doors for exercise. 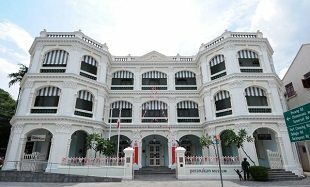 Formerly called 'Singapura', Singapore has been labelled the 'Little Red Dot' in the past by an extremely undiplomatic Indonesian President. It is a small island South of the Malaysian Peninsula. Singapore is famous for having one of the most amazing men as Prime Minister, Lee Kwan Yew, Orchard Road and unfortunately, the country where the sale of chewing gum is banned and you can be caned for vandalism. Singapore City is known for our shopping, but find the Real Singapore for yourself. You can book your tickets in advance on Sistic Online or at Sistic outlets. Singapore Zoo boasts the world's first free-ranging orang utan habitat in a zoo. This environment showcases the charismatic apes, which are the Zoo's flagship species, in natural surroundings. The award-winning Jungle Breakfast with Wildlife programme allows visitors to get up close with these fascinating apes, alongside other animals such as elephants and a snake. Also not to be missed is the Elephants of Asia exhibit, which features educational elements such as interactive signages and discovery stations. Catch the Elephants at Work and Play show here, which showcases the intelligence, strength and agility of these gentle giants. Housed in a giant biodome, the Fragile Forest offers its residentslemurs, sloths, mousedeer and other animals a naturalistic environment where they are allowed to roam freely. Guests can walk alongside these fascinating animals as they go about their daily activities. Australian Outback and the Great Rift Valley of Ethiopia, which is home to the hamadryas baboons, are other fascinating areas to be discovered. Guests will find themselves transported to another land as they immerse themselves in habitats representing the respective geographical regions. Do not miss the all new Frozen Tundra, home to Singapore's very own polar bear, Inuka, and his new neighbours, raccoon dogs and wolverines. The Frozen Tundra is built to replicate the chilly climate of the arctic with its new water pool filled with giant ice blocks. Guests can sit comfortably in a viewing gallery to catch enriching token feedings sessions happening daily at 10am, 1pm and 4pm. *Child refers to children from 3-12 years old. Take a journey into seven geographical regions, from the Himalayan foothills to the jungles of Southeast Asia on a safari tram ride with live commentary. Guests can expect close encounters with Malayan tapirs, frisky deer and bizarre babirusas, or face off with roaring lions, tigers and majestic elephants aboard Night Safari's unique tram experience. Explore the walking trails and come up close to the beautiful leopard, and feel the giant flying squirrel cruise above your head. The Creatures of the Night Show featuring a star cast of nocturnal animals such as civets, the binturong and the serval will wow visitors with their natural talents and abilities. Also not to be missed is the breathtaking Thumbuakar show which features heart-pounding tribal dances with fire-eating stunts. When hunger pangs strike, visitors can dine safari-style at the rustic Ulu Ulu Safari Restaurant, which offers guests a choice of an Asian or Indian buffet, as well as an array of local dishes such as chilli crab and laksa, guaranteed to tantalize tastebuds. River Safari is Singapore's newest wildlife park and as Asia's first and only river-themed wildlife park, It houses one of the world's largest collection of river-dwelling animals. The park is home to 42 endangered species from a collection of 5,000 animals inhabiting some of the world?s most iconic rivers such as the Amazon, Ganges and Mekong river. Come discover the world of river giants and megafishes in lofty tanks and luscious walk-through exhibits. Its must-see attractions include the Giant Panda Forest, Amazon Flooded Forest, Squirrel Monkey Forest and Mekong River. It's 'panda-monium' with Kai Kai and Jia Jia, Singapore's very own giant pandas! Come see them at Southeast Asia's largest giant panda exhibit! Every 6 months, torrential rains sweep across the Amazon, causing rivers to overflow and flood the rainforest. This phenomenon creates an aquatic wonderland abundant with food for fishes and river mammals to feast on. Experience the flooded forest and meet its inhabitants like the graceful manatee and the majestic arapaima in the world?s largest freshwater aquarium. Also, witness the playful giant river otter, seen for the first time in Asia, from an underwater tunnel. Mekong River Simulating the deep waters of Southeast Asia's longest river, this 3-metre freshwater gallery houses the elusive and endangered Mekong giant catfish and the largest freshwater fish in the world, the giant freshwater stingray! Drop in on the liveliest habitat of Wild Amazonia! Walk through this forest and see what monkey business our troop of squirrel monkeys are up to! Escape the hustle and bustle of the city into a sanctuary of serenity marked by spectacular landscapes. Home to more than 5,000 birds, Jurong Bird Park is Asia's largest bird paradise and one of Singapore's true hidden treasure. Meander into South America's lush diversity at Jungle Jewels or relax at the 30m high waterfall at African Waterfall Aviary, the world's largest walk-in aviary. Explore Southeast Asian Birds Aviary's tropical paradise and meet Lory Loft's rainbow-coloured residents from Australia. Be sure to catch the bird park's captivating bird shows which has entertained countless visitors. Venture into the Kings of the Skies show and be captivated by the crowd-favourite High Flyers Show. After that, have a delightful Lunch with Parrots where you will be tickled pink by the park's bird stars. Get up close with the birds at our feeding sessions it's a marvellous sight as they flock to you to feed on their favourite foods. And go-behind-the-scenes at the Breeding & Research Centre, the bird park's nursery where eggs and chicks are nurtured into adults. There's a world of colourful surprises out there and it's all right here at the Jurong Bird Park. Fly with us to Sentosa, Mount Faber and Harbourfront, as you experience the only Cable Car ride in the world that leaves from a hill, goes over a stretch of forest, over a highway, through an office building, over a cruise centre, over the water and to an island of fun with the newest attractions in town, the Marine Life Park, Adventure Watercove, and Universal Studios Singapore. Touted as the best ride with the best view, the iconic Cable Car ride puts a sky-high factor to your exciting day out at Sentosa, with plenty of photo opportunities against the captivating cityscape and harbour view. In addition to complimentary admission into Sentosa, each Cable Car ticket adds to your fun quotient with access to Asia's First Cable Car Museum, to Mount Faber Park , one of Singapore's oldest hilltop parks and a haven of greenery, and Singapore's iconic hilltop destination, The Jewel Box at Mount Faber. Forest Adventure is thrilling fun for the whole family. 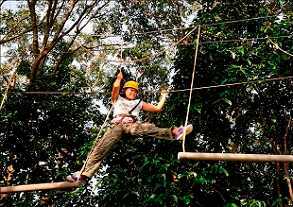 Experience zipping through the air, jumping off the Tarzan Swing or balancing on some exhilarating bridges and obstacles. And all this knowing that you are safely attached at all times. Different courses allow both children and adults to join in the fun. The Grand Course is for adults and teenagers who are at least 1.4m tall. There are 34 different obstacles. The course takes 2.5hrs to complete the entire course. Prior to departing on the course, participants will go through a thorough safety briefing, they then are free to enjoy the course at their own pace and without the presence of a guide. Instructors are patrolling form the ground at all times. Youth below the age of 18 must be accompanied by a participating adult. 1 adult can supervise 1 youth below 14 and 2 youths if at least one of them is above 14. Alternatively, 2 adults can supervise 3 youths between them. The Kids Course is the ultimate experience and adventure for kids. The course has 16 crossings ending with a zip line. Instructors will attach the children to on-going safety line and after a short briefing on safety will let them experience the course by themselves assisting them only if needed. Allowing them to complete the course on their own will tremendously boast their team spirit and self-confidence. Adults can watch and encourage their kids from the trail below. Recommended for little monkeys between 5 and 10 years of age, measuring at least 1.1m. Go beyond the screen and Ride The Movies® at Universal Studios Singapore®. Only here can you experience cutting-edge rides, shows, and attractions based on your favourite blockbuster films and television series, including Sesame Street Spaghetti Space Chase, TRANSFORMERS The Ride: The Ultimate 3D Battle, Shrek 4-D Adventure, Jurassic Park Rapids Adventure®, and more! Sesame Street® and associated characters, trademarks and design elements are owned and licensed by Sesame Workshop. © 2013 Sesame Workshop. All rights reserved. TRANSFORMERS and its logo and all related characters are trademarks of Hasbro and are used with permission. © 2013 Hasbro. All Rights Reserved. © 2013 DreamWorks L.L.C. and Paramount Pictures Corporation. All Rights Reserved. Shrek 4-D Adventure © 2013 DreamWorks Animation L.L.C. Jurassic Park ® & © Universal Studios/Amblin Entertainment. All rights reserved. UNIVERSAL STUDIOS, UNIVERSAL STUDIOS SINGAPORE, RIDE THE MOVIES, Universal Globe logo, and all Universal elements and related indicia & © Universal Studios. All Rights Reserved. Discover the awe-inspiring world of life in the ocean at the world’s largest aquarium accredited by GUINNESS WORLD RECORDS™. Step into S.E.A. Aquarium and immerse yourself in a magical marine world seen through our planet’s largest window to the ocean. With more than 800 species of marine animals, the aquarium is home to majestic manta rays, enormous goliath grouper, napoleon wrasse, and other gentle giants of the sea. Come face-to-face with over 200 sharks and uncover the centuries of myths about these ocean predators. Sneak a peek at a moray eel in a rocky crevice or tour an underwater reef community. Discover and unfold the endless wonders of our blue planet at S.E.A. Aquarium. Located in central Singapore and just five minutes away from Orchard Road (Singapore’s main shopping street), getting to the Gardens is easy! Visitors can access the Gardens via its various major entrances. Knowing where to alight will help ensure that your visit is an enjoyable experience. * The Botanic Gardens MRT Station (Circle Line) alights you at the Bukit Timah Gate. Don't forget to visit the children's garden nearby if you have time! Sir Stamford Raffles, the founder of Singapore and a keen naturalist, set up the first Botanic Garden on Government Hill at Fort Canning in 1822 mainly to introduce into cultivation economic crops such as nutmeg, clove and cocoa. This Garden was closed in 1829. The Gardens at its present site was founded in 1859 by an Agri-Horticultural Society, and was later handed over to the government for maintenance. From an ornamental garden with roads, terraces, a bandstand and even a small zoo, it has come a long way in evolving into a leading equatorial botanic garden of 74 hectares. The 150-year old Singapore Botanic Gardens is a star visitor attraction for the sophisticated traveller as well as the local resident. This Gardens possesses an array of botanical and horticultural attractions with a rich history and a wonderful plant collection of worldwide significance. Complementing these unique resources are sensitive developments providing visitors educational and recreational facilities. There is a range of walking trail guides that you can refer to if you wish to explore the Gardens. With walking trails that range from 40 to 90 minutes in duration, there should be one that suits your needs. Volunteers conduct different tours each weekend (held on Saturdays, except on the 5th Saturday of the month). These walking tours are free so pick one and bring your family and friends for a fun and educational day out! Standing at a stunning 165m, the Singapore Flyer is the height of a 42 storey building. 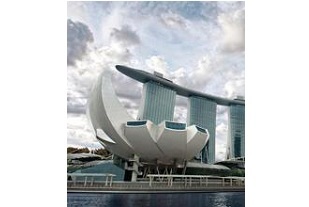 It is the perfect way to see Singapore's magnificent cityscape. The ride takes 37 minutes and gives a 360 degree view of iconic and historical landmarks from Marina Bay to the Singapore River, Raffles Place, Merlion Park, Empress Place and the Pandang. Our many interactive exhibits, housed in 14 galleries, cover a wide range of topics related to science, technology and mathematics. There is an additional 20,000m2 of outdoor exhibition space showcasing the Waterworks exhibition, Kinetic Garden and Ecogarden. We also offer a wide range of enrichment programmes for students aimed at complementing the school's formal science education as well as enriching and fun events, competitions and outreach activities for everyone. 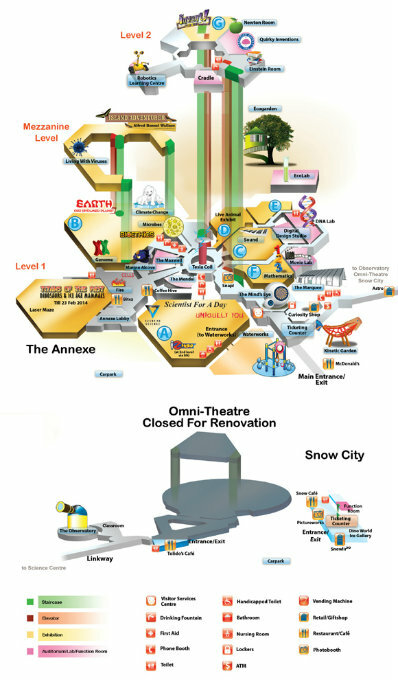 The Science Centre, Omni-Theatre and Snow City have engaged and enriched more than 29.5 million students and visitors since 1977. 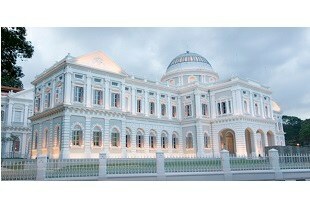 This is my kids' favourite place in the whole of Singapore! We regret any disappointment this closure may cause. Thank you in advance for your kind understanding.